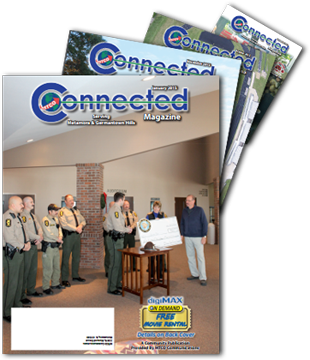 Connected Magazine is mailed to all the residents in the cities of Germantown Hills/Metamora, Marseilles, and Washington. Each town's magazine encompasses a hometown focus by delivering community news and insights, along with a Community Calendar of Events. Entertainment and technology news is also added to the editorial mix.